Racks burst with an abundance of dresses of all colors and sizes at stores in preparation for prom. 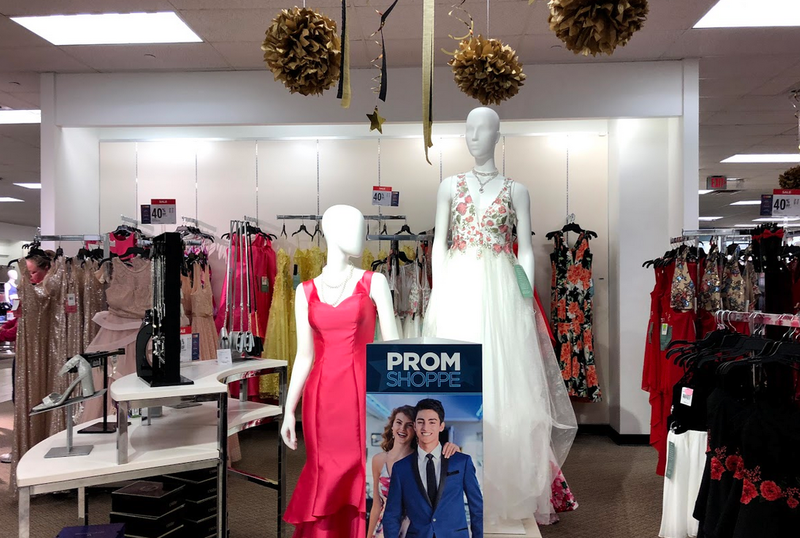 JCPenney readies its “Prom Shoppe,” displaying prom dresses alongside jewelry and fancy decorations. Looking for the right place to buy a one of the kind dress never fails to stress out junior and senior girls as prom looms. For high schoolers buying their own dresses, prom drains both their wallets and their time. 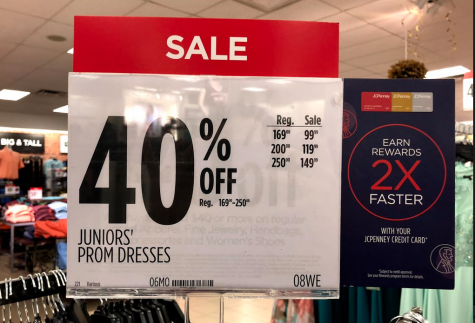 Stores like JC Penney offer sales throughout this time period, pre-prom, that offer great last minute deals. Trying to make the day of prom special, girls deck themselves out head to toe and spend as much money as a new phone or computer on their dress alone. Hiked up prices for the sheets of fabric make buying the right dress for the right price feel impossible, sometimes taking months of preparation and searching. 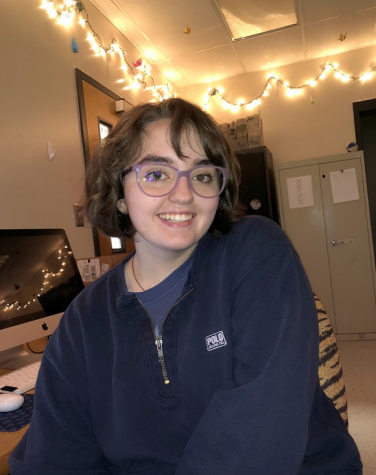 Having fun, the ultimate goal of prom, happens regardless of what a person wears, but feeling comfortable in the right dress makes the night worth remembering. Prom typically only happens twice in a person’s life, emphasizing the importance of bringing the glam to the dance floor. With all the stress and pressure to look like a movie star, finding the right dress seems impossible, especially without spending a semester’s worth of college tuition. Cheap options exist just around the corner at Town Center Mall on Barrett Parkway. 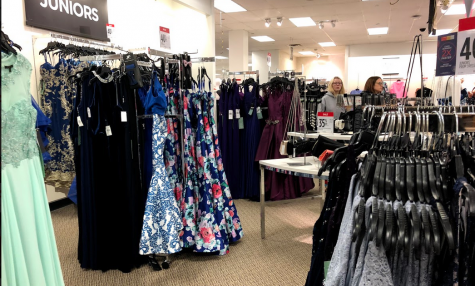 Department stores such as JC Penneys and Macy’s lay out their collections of dresses around prom season, from January to April, with yellow and red sales tags adorning many dresses. Although still typically over a hundred dollars, the dresses look beautiful, sometimes even with designer names like Calvin Klein for low prices. Boutiques hold hundreds of dresses and seem designed specifically for prom, such as the popular dress store Paris. Do not let the glitter and sequins become blinding in your search for a dress, these dress boutiques often sport higher prices on dresses not worth the extra paycheck. Styles vary from store to store, but no one could possibly know or care how much your designer deal costs once it is on your body. The secret to dress-buying lies in the normal women’s section of stores where beautiful dresses hang year-around. Designer dresses that warrant countless wears hang waiting for a buyer. Places like Macy’s even run frequent sales on these dresses, marketing the garments towards adults instead of teens. Stores often underprice these dresses because adults need such intricate dress less frequently, so they become less expensive to sell to encourage women to buy them. If you desire a dress with more sparkles and design, the juniors section of the two aforementioned department stores stock every inch of their floor space with options, all typically less than 200 dollars, and ripe for the picking. In the end, the right dress might not come with a reasonable price tag, but the important part of prom—the part people remember—rests on the wearer’s feeling in the dress and the excitement that comes along with the dance. Do yourself a favor and look in these normal, but unexpected, places. Your wallet will thank you.